1) It is a criminal offence (s46 Police Reform Act [PRA] 2002) for a CSO to impersonate a Police Constable. 2) Many Police forces have recruited CSO’s under the Functions of Traffic Wardens Order (1970) Act and its subsequent amendments. In this circumstance, CSO’s are employed only with Traffic Warden Powers, and are often used in that capacity. Stop and search vehicles & belongings in areas authorised under the Terrorism Act 2000. Seize vehicles used to cause alarm etc. Make traffic directions for abnormal vehicles. 4) A CSO does not have the power of arrest as specified in PACE. A CSO may make a Citizen’s Arrest. A Police Constable can make an arrest if a crime is in progress, or if he thinks a crime has already been committed, or is about to be committed – a citizen may only make an arrest if witnessing a crime is in progress, a citizen may not make an arrest if he thinks a crime has been previously committed, or if he thinks a crime might be committed in the future. For a CSO to make an arrest outside of the definition of a ‘Citizen’s Arrest’, is to unlawfully deprive a person of his freedom – and potentially open the CSO to the further allegation of ‘impersonating a Police Constable’. 5) Due to the limitation of arrest applied to a CSO, Section 4 grants the CSO the power to detain a suspect for 30 minutes only, and to use reasonable force in so doing. In this time, the CSO must request the presence of a Police Constable. A person detained in this manner IS NOT under arrest, but it is an offence for a detained person to try and leave the area prior to the arrival of a Police Constable, or before the 30 minutes expire. A CSO may detain a suspect if the CSO reasonably has grounds to believe that a crime may have been committed, is being committed, or might be committed. A CSO, however, CAN NOT act on these suspicions other than to detain a suspect and seek guidance from a Police Constable. 6) A CSO CAN NOT take someone – even if they are being detained for 30 minutes – to a Police Station without the expressed consent of the individual concerned. 7) A CSO does not carry handcuffs, batons or pepper spray. 8) As a CSO does not hold the powers of a Police Constable, he/she can not set foot on private property (or enter a dwelling) without the permission of the owner. What is stated in Section 4 is the power to enter any premises to save life and limb, and to prevent damage to the property. If these conditions are not present, the CSO CAN NOT lawfully enter premises. A Police Constable may enter a premises inaccordance with Section 4 AND if he/she is in possession of a court issued warrant authorising a legal search, as well as to prevent a breach of the peace, or arrest those who have escaped from custody. 9) A CSO may enter any premises (excluding a private dwelling), whilst searching for a motor vehicle, but must be under the supervision of a Police Constable. 10) At a roadblock, a CSO can be authorised to stop designated vehicles whilst under the supervision of a Police Constable. A CSO CAN NOT carry out vehicle or body searches – only a Police Constable is empowered to carry out these searches. 11) A Chief Constable does not necessarily grant ALL 16 powers of Section 4 to a CSO. A CSO may only be granted those powers of Section 4 relevant to the particular task given them in the community. When reassigned, the powers may be changed to reflect the new role. 12) A CSO must carry with them proof of the powers that they have been granted, together with details of their correct uniform, and produce said proof upon request (Section 42(2) PRA 2002). 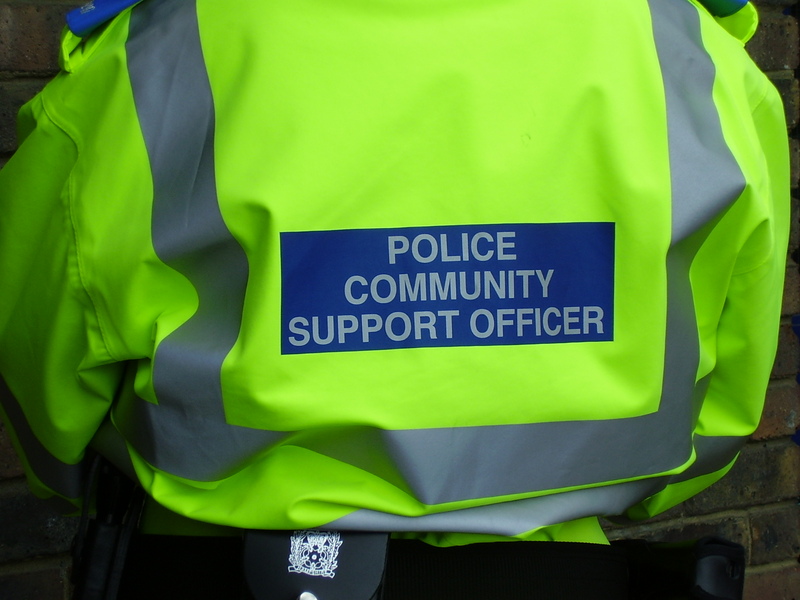 There has been much political discussion about the future of PCSO’s, with the Conservative government talking about abolishing the position.